Comes standard with 6 antique brass D-Ring Pulls. Drill For Wires - To use a clothing armoire as an entertainment unit, you must request it be drilled for wires. 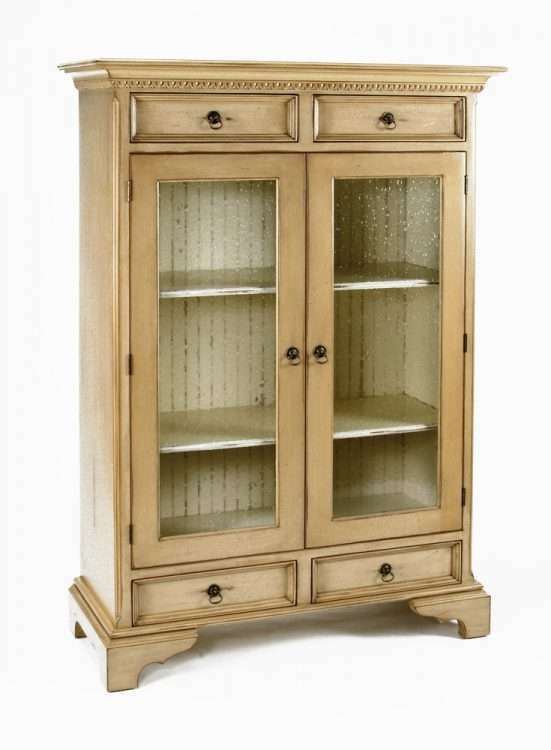 This unit features 2 seedy glass door panels, a beadboard interior back and 2 adjustable shelves. There are 4 drawers on metal/nylon drawer glides, and egg & dart moulding detail at the top. Ships in 1 corrugated carton: Cabinet and adjustable shelves (168 lbs) on 1 wooden pallet (50 lbs).